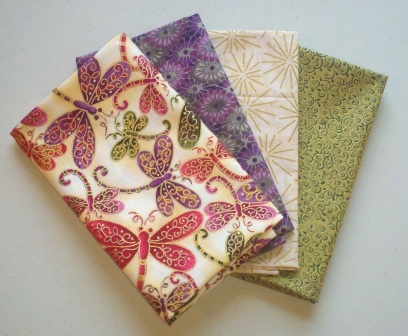 I have resisted using Fat Quarters since I was introduced to them about 20 years ago when I worked at JoAnn Fabrics. The mark-up was pretty outrageous back then, they were like pre-packaged food, more money per unit. For 20 years I never could wrap my head around fat-quarters, besides being overpriced, they were a tease. What could you possibly make with a half of a half of a yard? So in the spirit of trying new things, (and the fact that a lot of the giveaways consist of fat quarters), I broke down and bought 4 fat quarters. The challenge: what can I do with these Fat Quarters?? ?